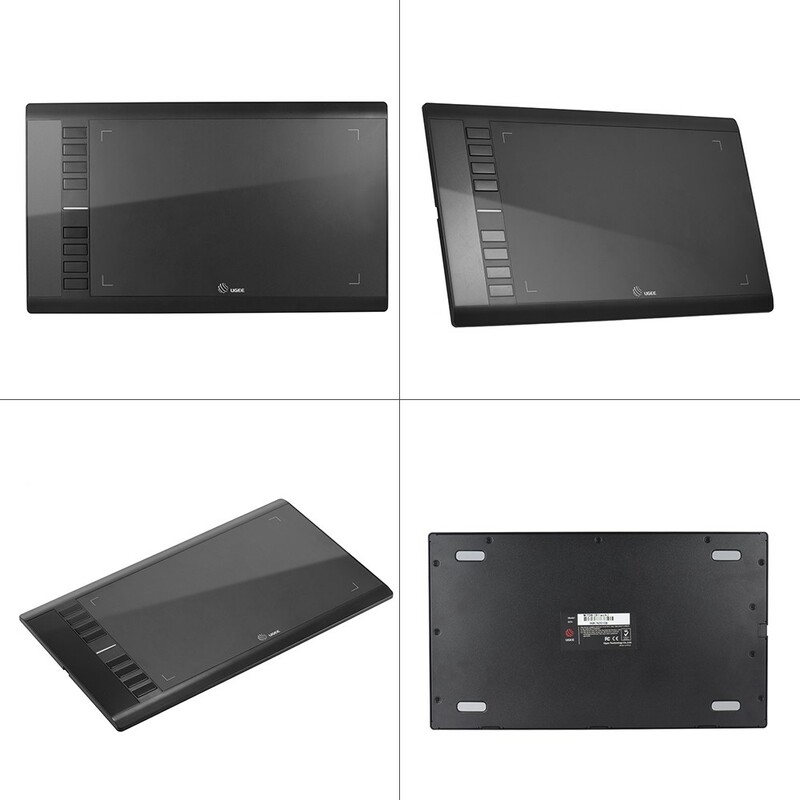 Ugee M708 Drawing Tablet come with 10x6 Inch Active Area,with 5080LPI resolution,support 2048 Levels Pressure Sensitivity.You can draw, paint, edit, sign, chat, write on your PC like using a real pencil.Ugee M708's 10*6 Inch work area allows for wide.fluid strokes and natural movement. 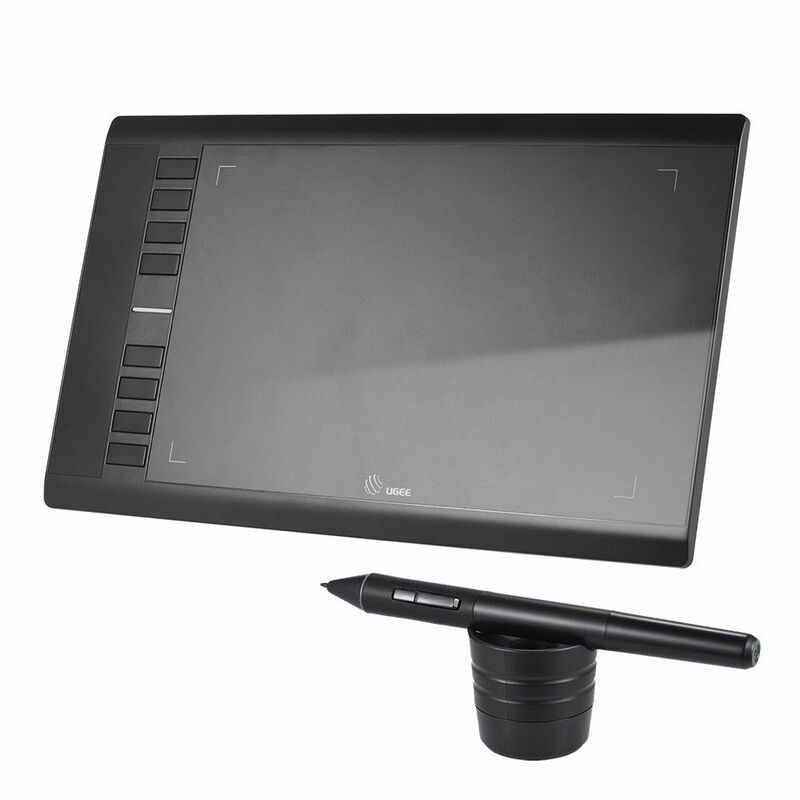 This tablet is large and vibrant screen.I'm able to set up Photoshop on 3/4 of the monitor and still have room for photo references on the side.Also,it has very pressure sensitive and responsive pen. Also,the driver settings allow for choosing how sensitive you'd like the pen to be.Easy to clean the glass screen,works effortlessly with Photoshop.Love it! 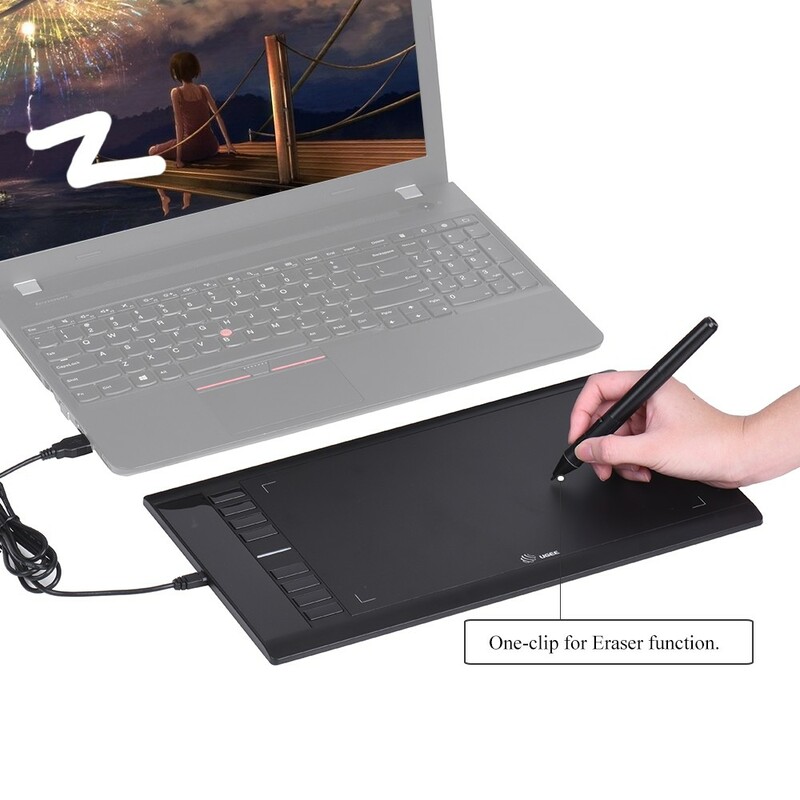 This honestly was a great investment.It has so improved my workflow that I can hardly imagine being without it. So far, I've used it in Photoshop and Mudbox and it handles the tasks that I've put it through very well. 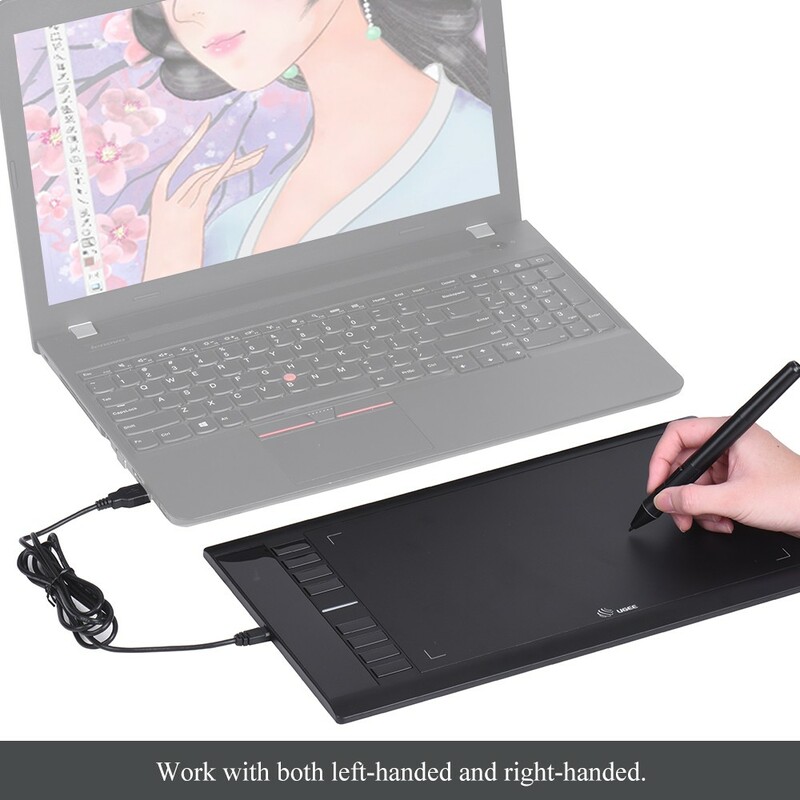 It looks exquisite,business style.I used it for some days,I found it very well,with high sensitivity and high definition screen.My chhildren like it very much because it displays a great painting. 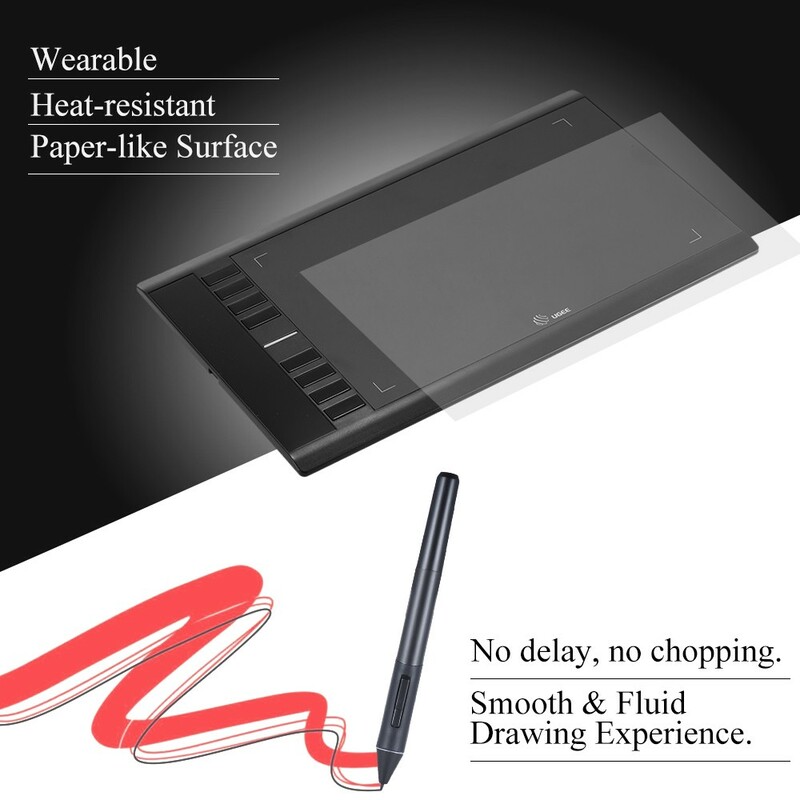 Ugee M708 Drawing Tablet 10x6 Inch Art Graphics Tablet ..how much will be cost ? and when will be ? 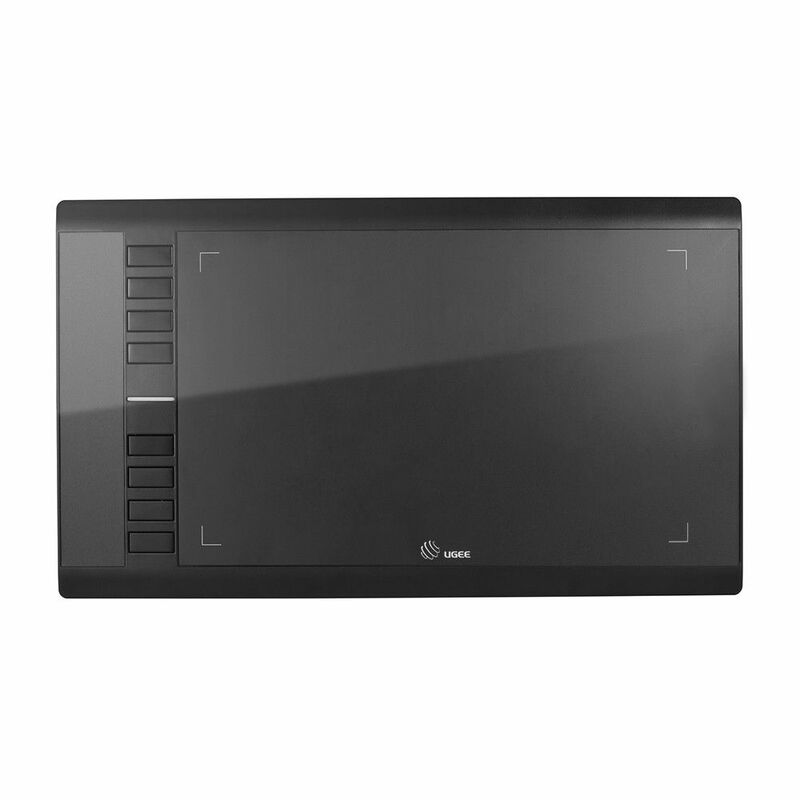 Ugee M708 Drawing Tablet come with 10x6 Inch Active Area,with 5080LPI resolution,support 2048 Levels Pressure Sensitivity.You can draw, paint, edit, sign, chat, write on your PC like using a real pencil.Ugee M708's 10*6 Inch work area allows for wide.fluid strokes and natural movement.With 2048 pressure levels and a one-click pen/eraser toggle provide a seamless and efficient experience. I'm from Saudi Arabia, Can I know how much time it would take to come? You will got your package in 3-5 business days by Express in 3-5 business days. 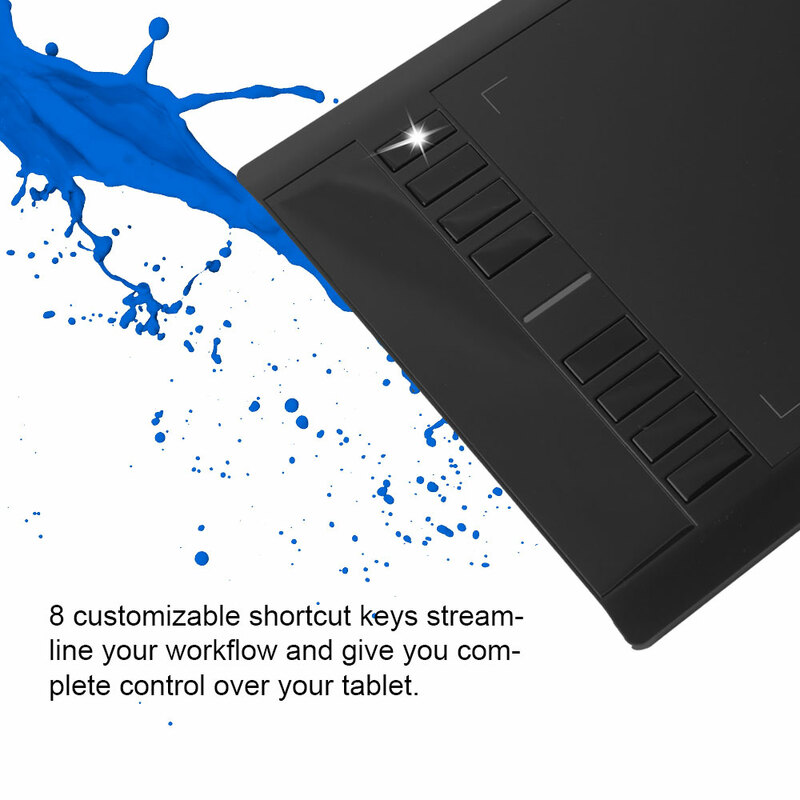 Yes,you can using on Lenovo Laptops. 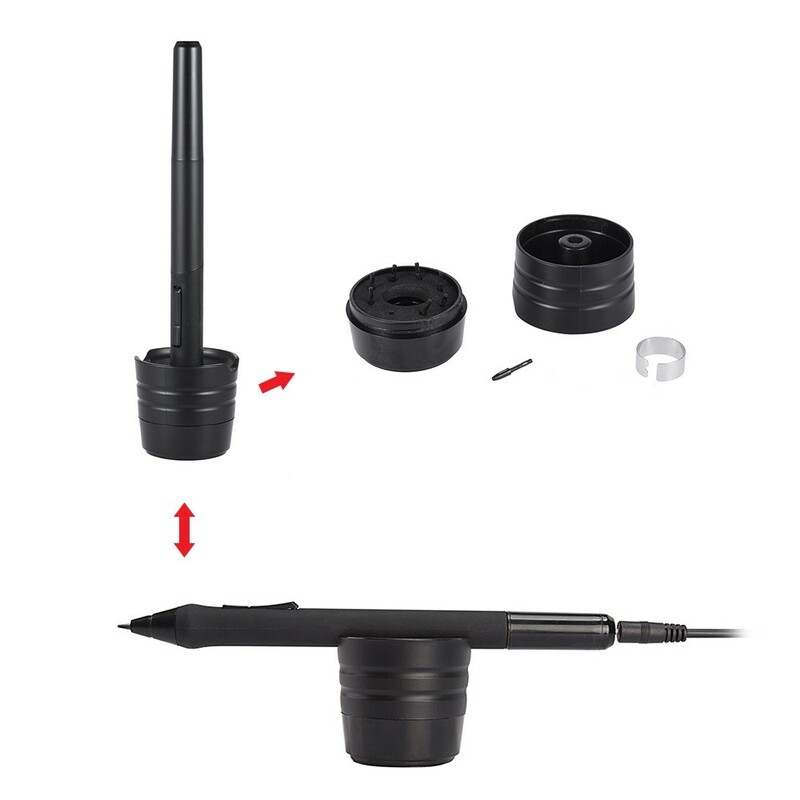 The pen that came with the tablet has been broken, what other pens are compatible...... will the "Adonit Ink" work? If not, please give me options. 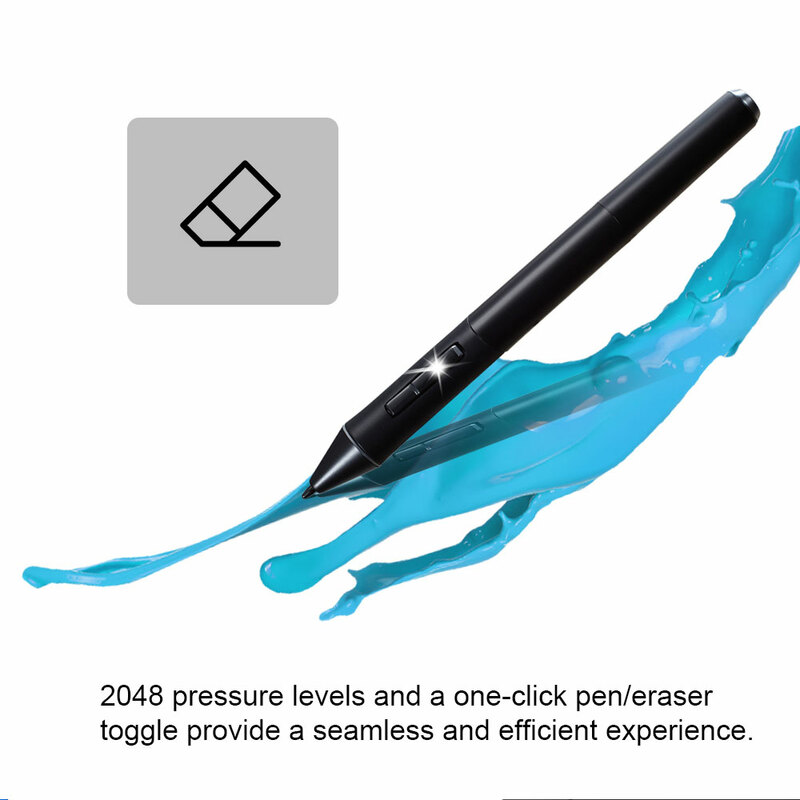 Please check our genuine Ugee Tablet Pen. Do you ship UgeeM708 to Croatia? We are Ugee Tablet online store,we support shipping to Croatia and all our package come with tracking number. Do you ship your products to Croatia? We support shipping to Croatia and you will got your package in 3-5 business days by Express. I bought a UGEE M708 from a friend and don´t have the CD. Is there a possibility to upload the driver, so I can download it, or could you send me the files? 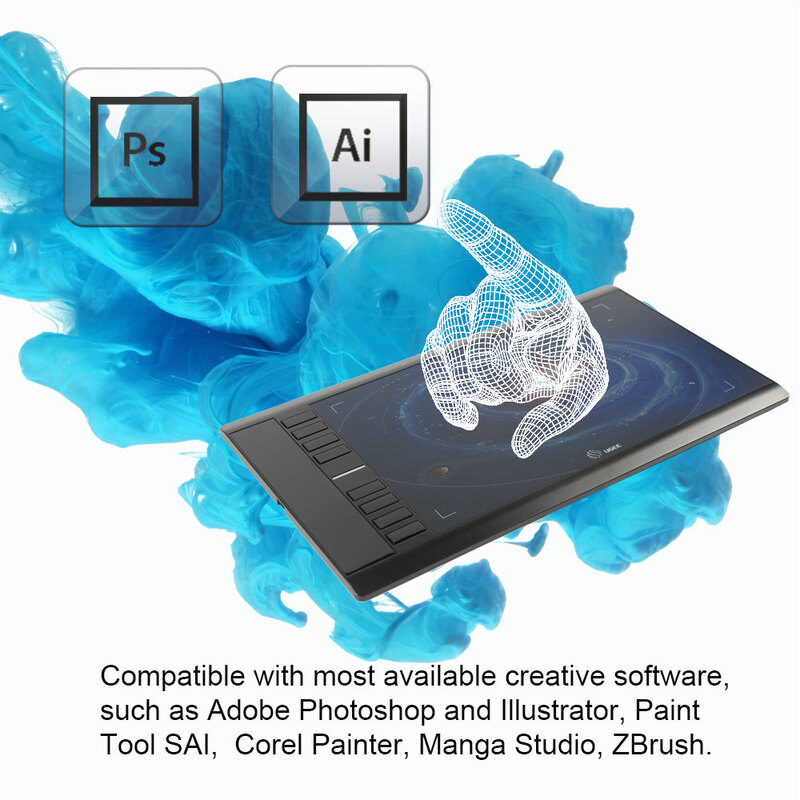 I would love to know if this drawing tablet works with online games like Animaljam, because I usually do my digital painting online, not on downloaded apps like photoshop, adobe etc. ! 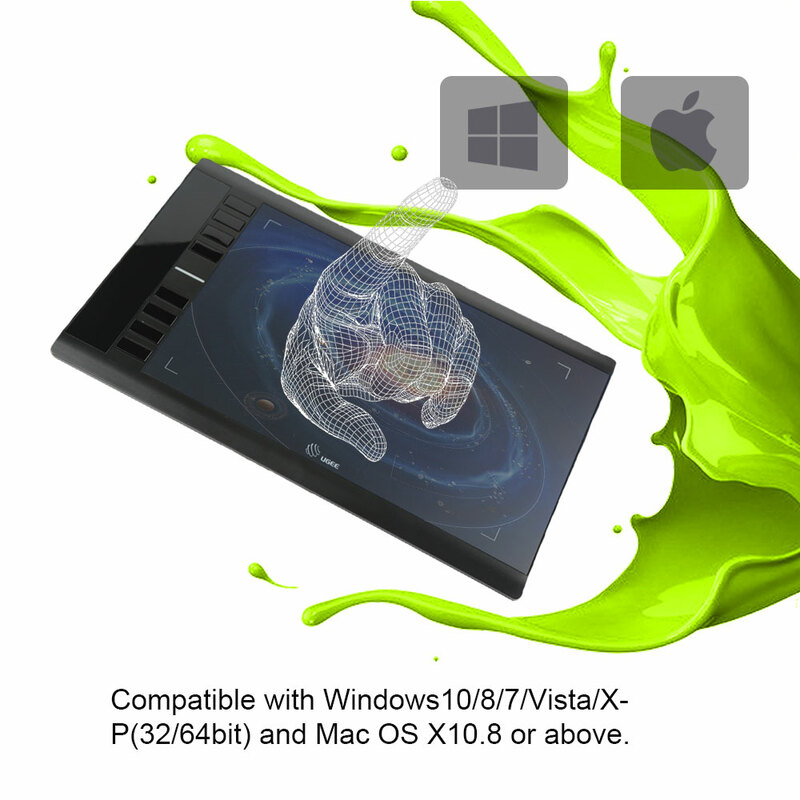 Yes,Ugee Tablet support drowing tablet. Hello, I am experiencing a bug with my tablet where a space on the surface won't register my pens motion and will 'skip' over it. If I an drawing a curved line, in the area, it will become a straight line and then after it passes over it, it will pick up my pen again. Please let me know if there's a fix for this! Can you tell us your order number?We will check it for you soon,Any question please tell us. 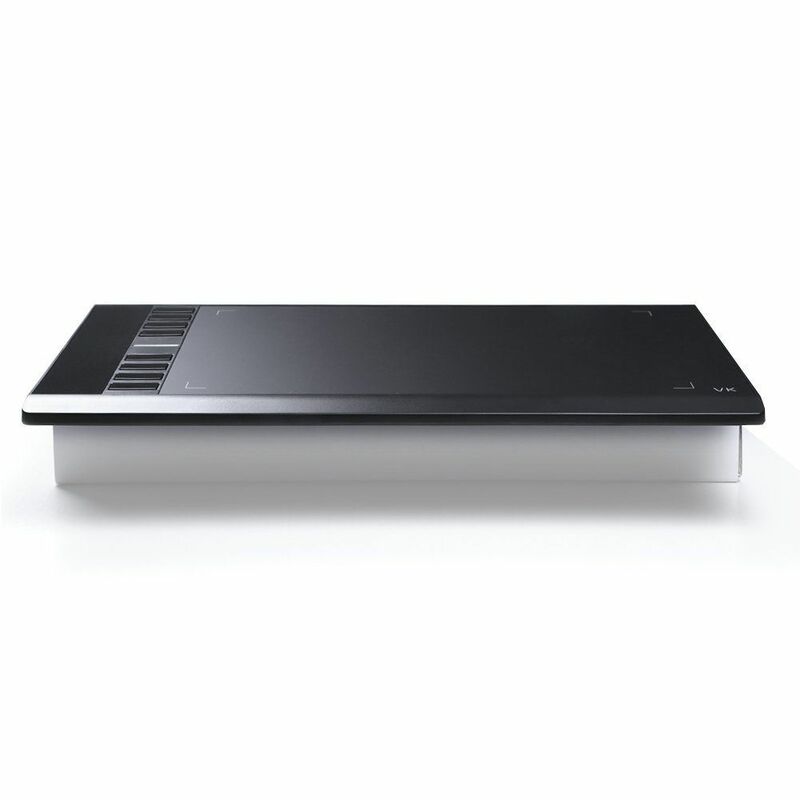 I'm looking for a drawing tablet in order to provide maths and physics online tuition. 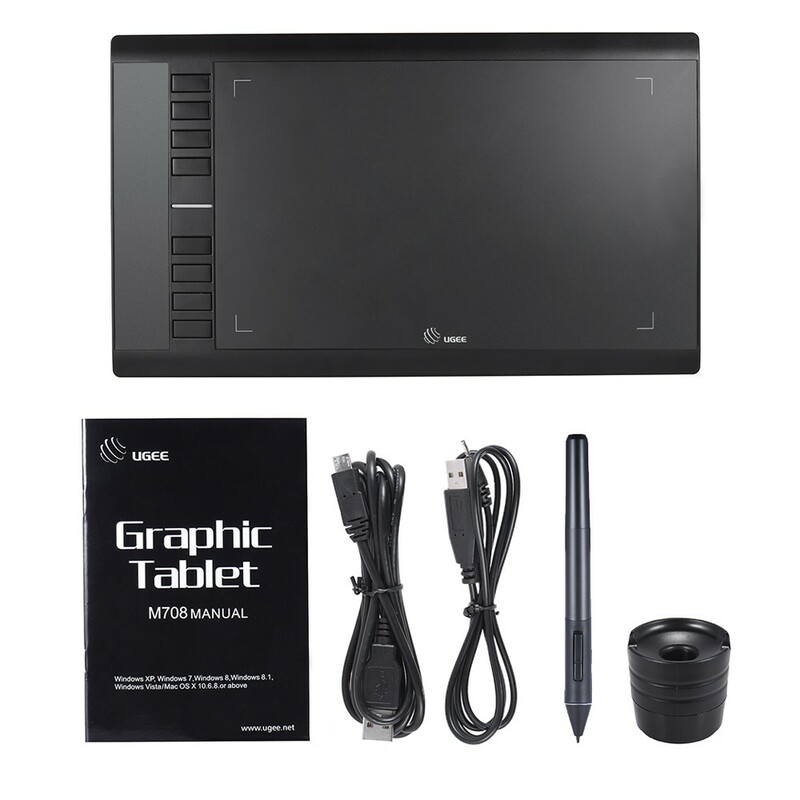 Will this tablet work properly for writing mathematical formulae, drawing diagrams and writing? Also I need to know whether it is compatible with online whiteboards, specifically AWWAPP, as this is what I'll be using to tutor my students. 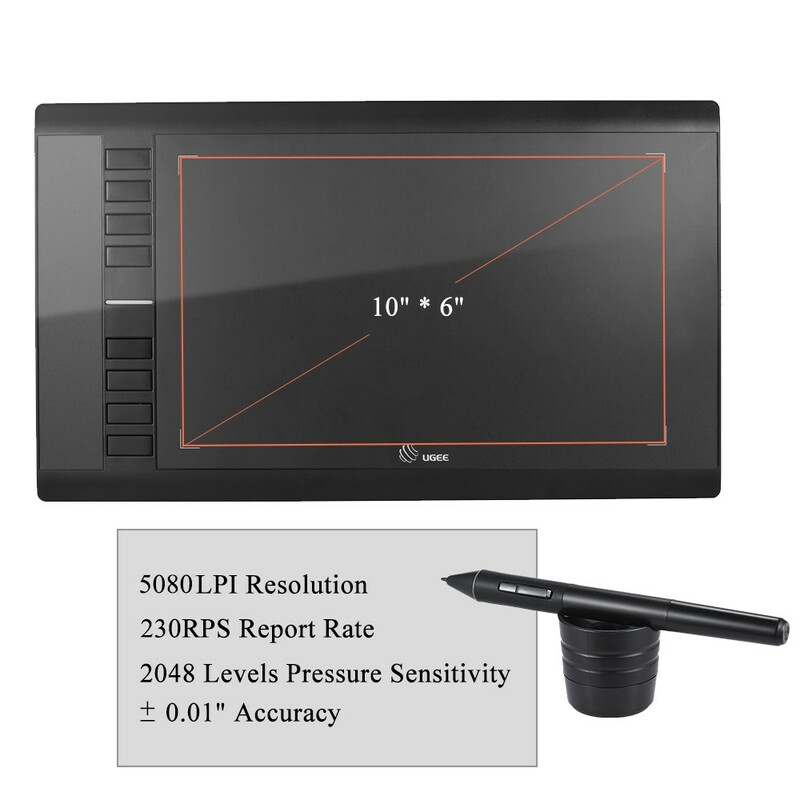 Ugee M708 Tablet come with basic set up software. 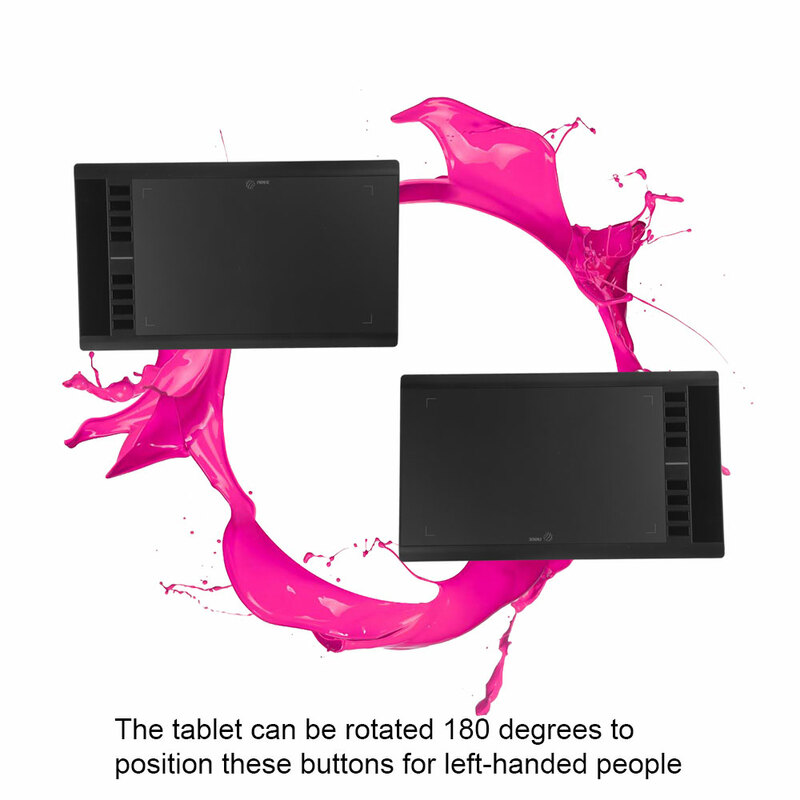 Does the tablet support touch screen?Thanks . 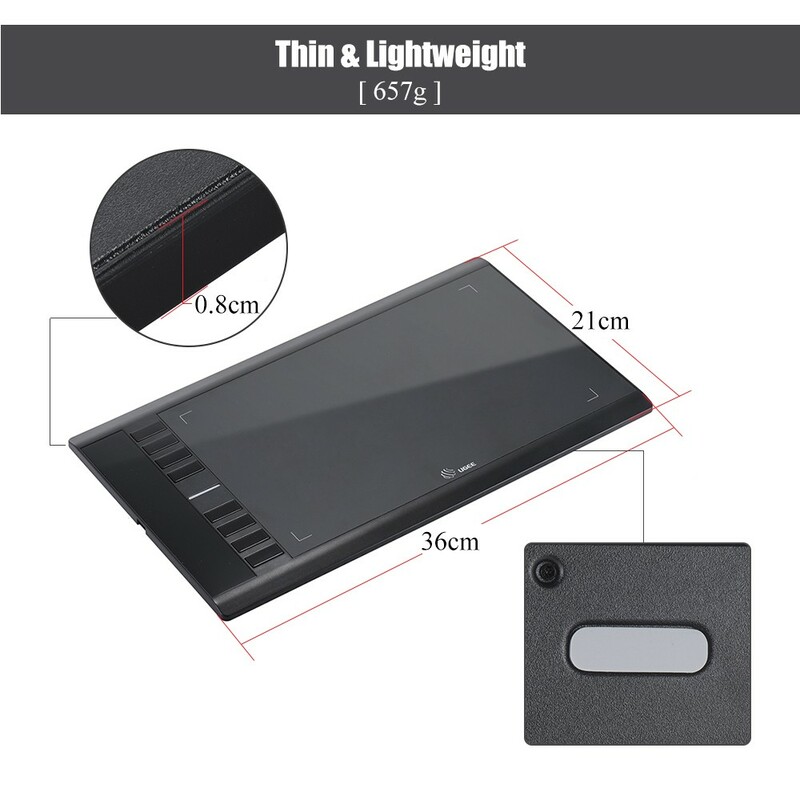 Ugee M708 Tablet does not support touch screen,It only functions with the pen. Does it have other colors?Does this unit ship with a spare pen?Please.Thanks. Now we only have Black Color version and we will release on our website. 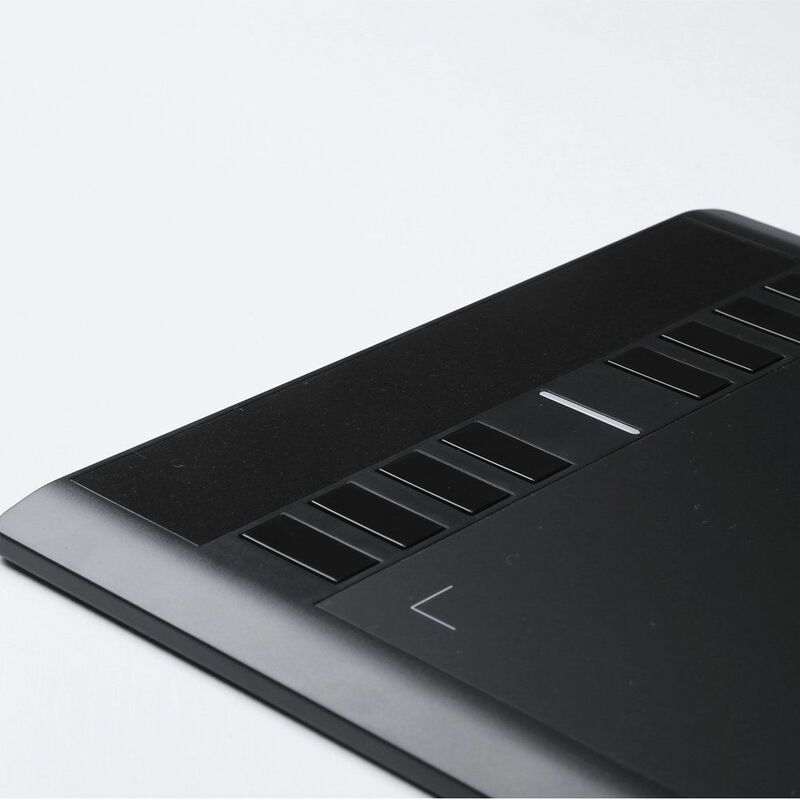 Is this compatible with an Acer Chromebook 15?and how much tax I have if I buy this product? Thanks regard! 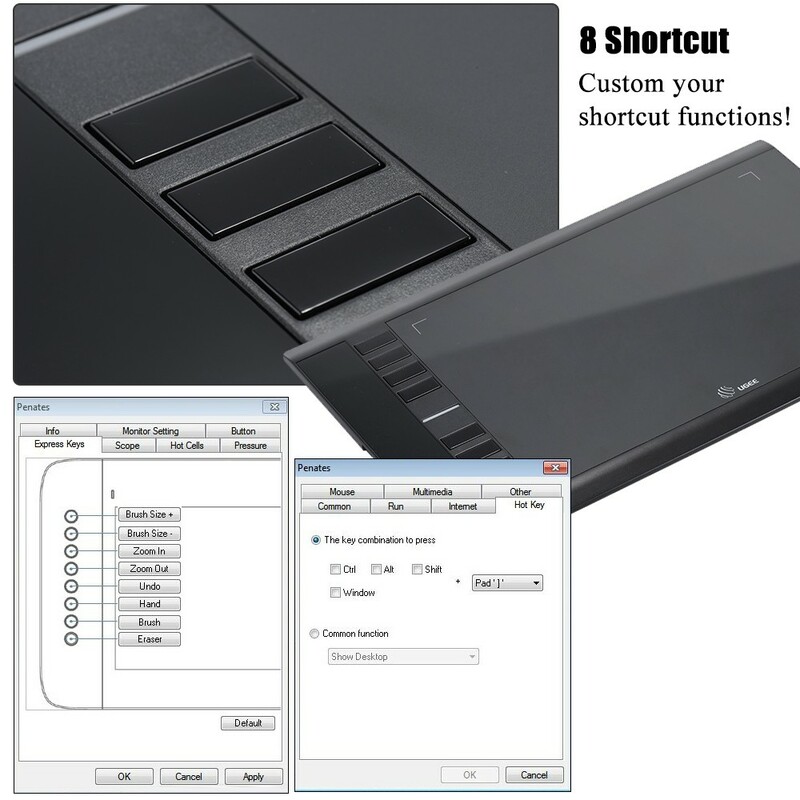 Ugee Tabelt support with Window 8 and Windows 10.We will print your package value under 50USD,but we are not sure about your local customs. 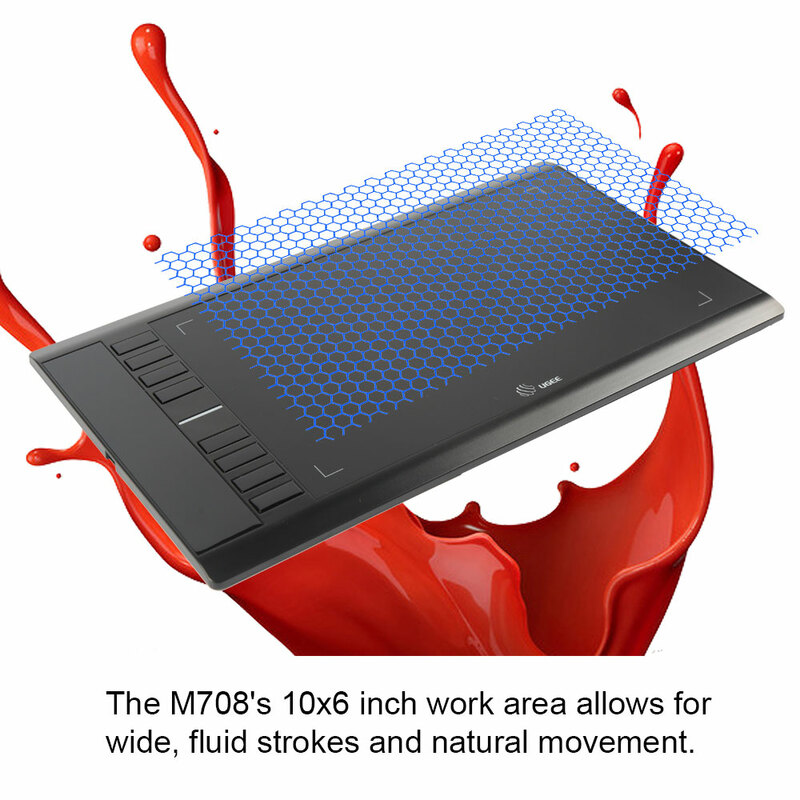 just one question, the Ugee M708 Drawing Tablet. coming soon? 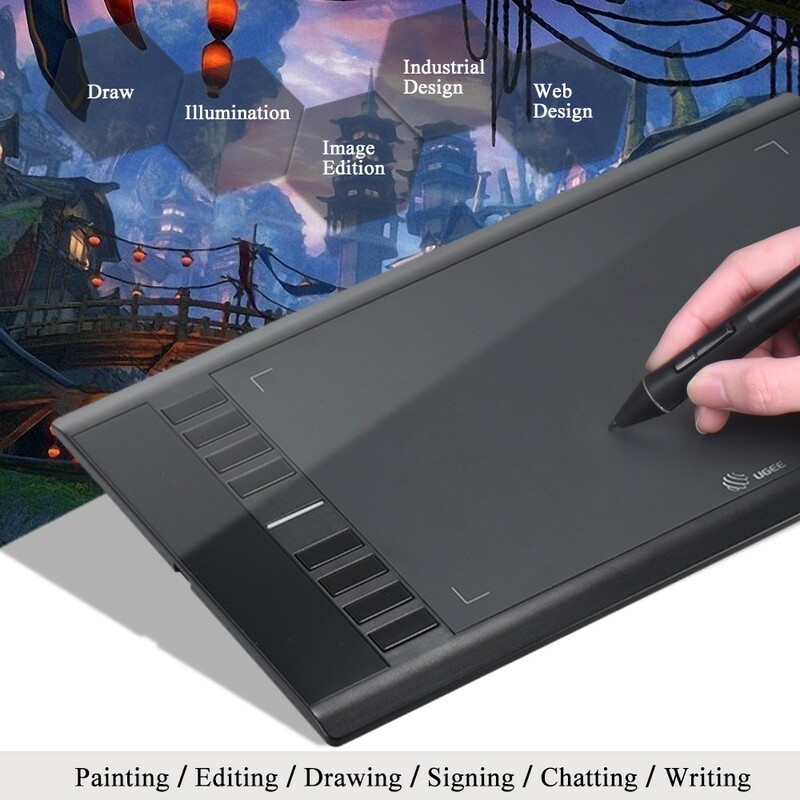 We are Ugee Tablet online store,we have Ugee M708 Drawing Tablet in stock and ready to send. hello! 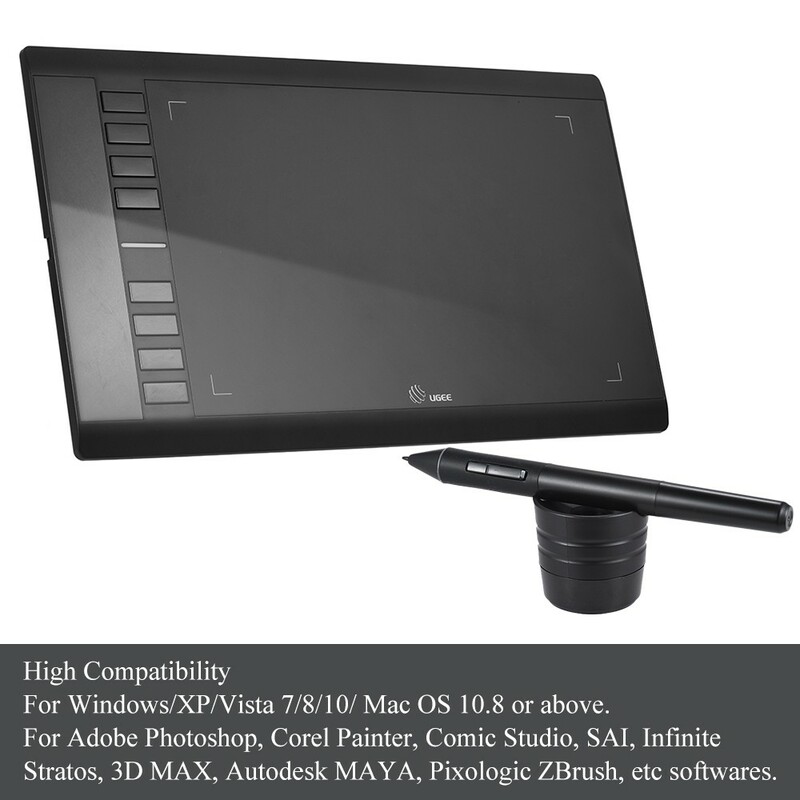 Can I find out about the release date Ugee M708 Drawing Tablet ? thanks in advance! We are Official Ugee Tabelt online store,we have Ugee M708 Tabelt in stock and ready to send. 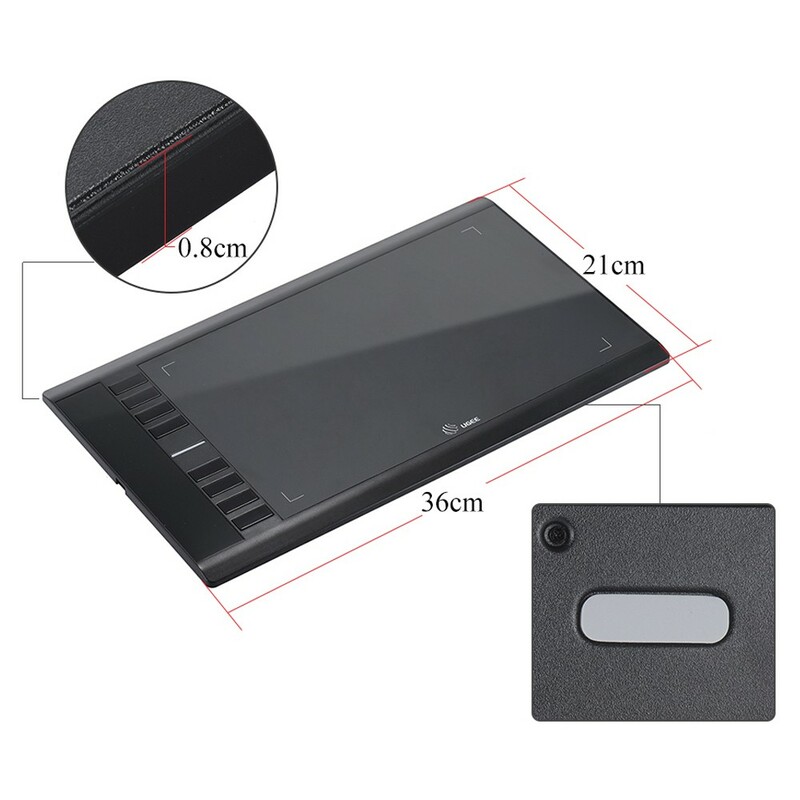 We are Ugee M708 Tablet online store,we have Ugee Tablet in stock and ready to send. 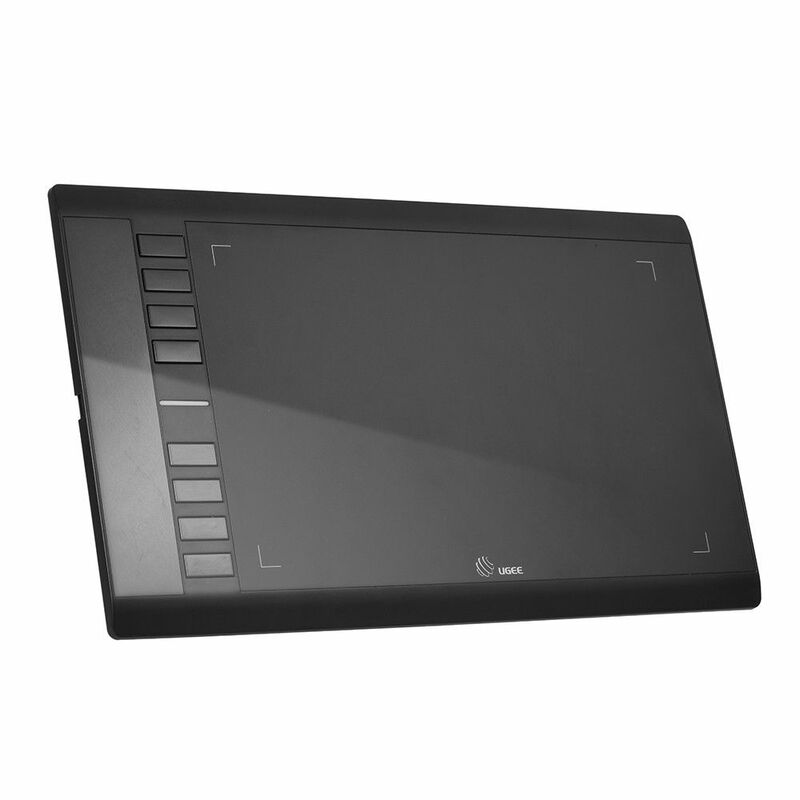 how soon can i expect this model will be avaiable for buying Ugee M708 Drawing Tablet 10x6 Inch Art Graphics Tablet ? or is there a possibility to pre-oreder it from you? when was avaiable there was version , will you have that ones aslo back in your store? 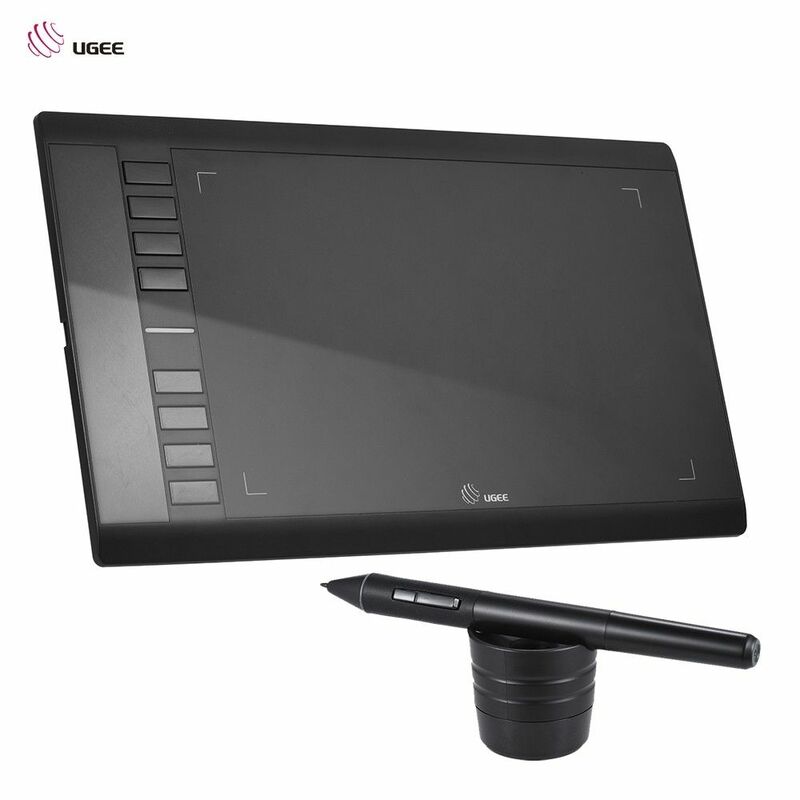 We are Ugee Tablet online store,We have Ugee M708 Art Graphics Tablet in stock and ready to send. we support worldwide shipping and you will got your package in 3-5 business days by Express.